SPECIAL EVENTS SAVE THE DATE! Victory Mission began in 1978 as ministry to the mobile home parks off Victory Drive in south Columbus. Originally started by the Columbus Baptist Association, First Baptist became the primary sponsor in 1985. In 2002, First Baptist accepted full responsibility for the mission. Through the years, Victory Mission has been a ministry to the changing population of the mobile home parks. At Victory Mission, we use the Word of God to reach a community where every day is uncertain. In an underserved community where life’s challenges hit hard, we work to bring the peace and dependable love that only our Lord can provide. Serving low-income neighborhoods around Victory Drive and other parts of south Columbus, Victory Mission is the heart of our local missions efforts. 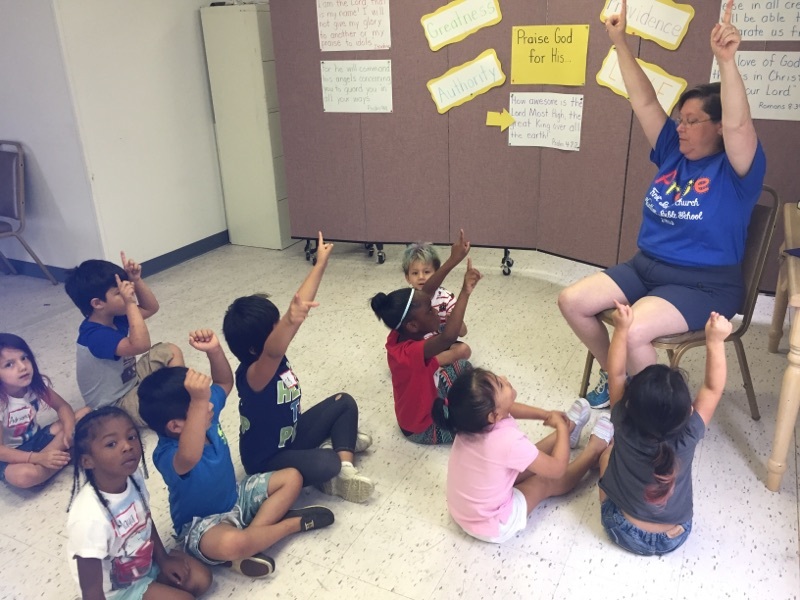 Weekly programming includes Sunday School for children and worship for adults, Tuesday evening Bible Study for all age groups and life skills exercises for children and youth, Wednesday tutoring, and various special activities are held year round. Special events include a summer Vacation Bible School, an annual Christmas pageant, trips to First Baptist for baptisms, special outings, and other events. We serve an average of 25-75 participants in each activity. Sunday – Breakfast at 9:30 a.m., Sunday School for grades K-4 and worship for adults beginning at 9:50. Tuesday – Bible study and activities start at 5:15 p.m. Activities include dinner, Bible study, and life skills classes. Wednesday – “Reading Buddies” provides an opportunity for adult tutors to work one-on-one with young readers, helping them to develop a love for reading. Tutoring for other subjects is offered on an as-needed basis.